G4S the security multinational that is still facing what may be one of the biggest criminal fraud investigations in British history has been offered a £25m contract by the Ministry of Justice. The ministry has confirmed the contract to supply tagging equipment despite the firm facing an ongoing Serious Fraud Office probe for the tagging contract they overcharged the taxpayer on when Theresa May was Home Secretary. G4S and Serco – another multinational with lucrative Home Office contracts – were both accused of systematic fraud of the taxpayer in their lucrative contracts to monitor released prisoners with security tags, many of whom were discovered to still be in prison or even dead. In some cases, the firms went on charging for tagging former prisoners for years after the tags were removed. G4S initially offered to pay £24m – but as the true scale of the scandal emerged they were forced to pay back £108.9m plus VAT, with Serco repaying £70.5m. After an initial short ban on bidding for privatised functions in 2014, the outsourcing giant’s landing of another tagging contract has provoked outrage as the Serious Fraud Office is yet to decide whether to prosecute G4S in what would certainly be one of the biggest fraud cases ever in this country. 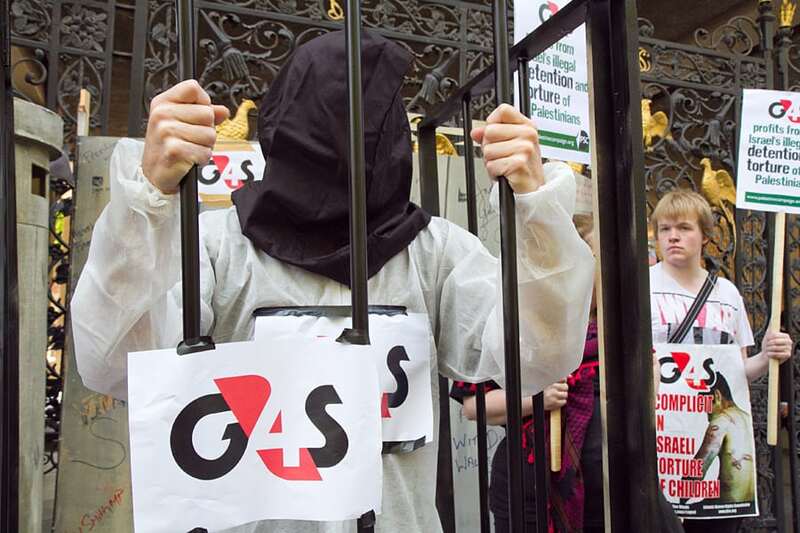 The shadow justice secretary, Richard Burgon slammed the decision: “It beggars belief that the government has sneaked out this contract with G4S while a serious fraud probe is still exploring its misconduct in a previous contract. The Labour MP for Leeds East added: “It really is unclear just how bad G4S’s service has to get before the government stops trusting them with taxpayers’ money”. G4S and Serco have also been tarnished by allegations of abuse of men, women and youth in their care in their contracts with the Home Office, looking after youth offenders and detention centres. The Howard League for Penal Reform compiled a shocking dossier of possibly criminal failures in their privatised criminal justice contracts – many documented by Her Majesty’s Prison Inspectorate. The report, “Corporate Crime? A dossier on the failure of privatisation in the criminal justice system” was given to Scotland Yard to investigate as the Howard League called for no more privatisation of such sensitive functions while investigations of systematic criminality were still ongoing. Frances Crook, Chief Executive of the Howard League for Penal Reform, told The London Economic today: “Almost four years have passed since the Serious Fraud Office began a criminal investigation into G4S and Serco over electronic monitoring contracts. “We are still waiting to hear what the outcome of that investigation will be, but in the time since we have seen problems in a number of G4S institutions, including a BBC Panorama documentary exploring allegations of child abuse in Medway secure training centre. Allegations emerged that vulnerable youths in Medway secure training centre were physically abused and restrained violently following the Panorama investigation. The Public Accounts Committee has warned that a few major corporations are taking over the UK’s public services, as small and medium contractors are forced out from the procurement process, with transparency and the taxpayer losing out. I wouldn’t let G4S walk my dog. Imbaseal.